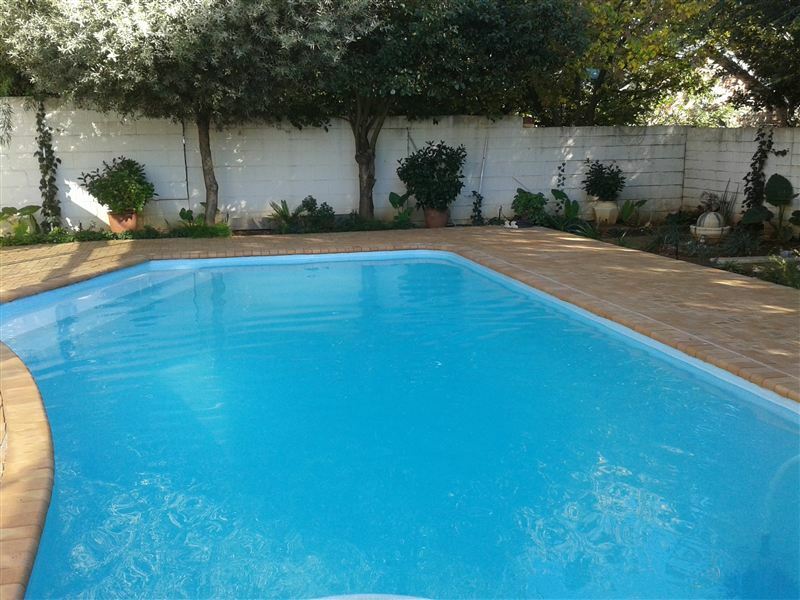 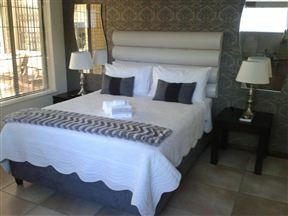 Lying at the foot of Navel Hill, La Dolce Vita is situated in the pretty little suburb of Waverley, Bloemfontein. 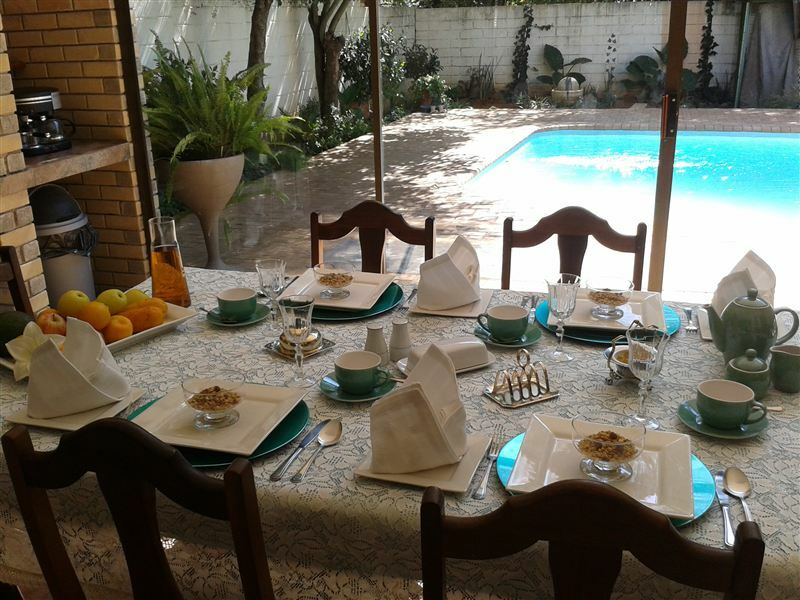 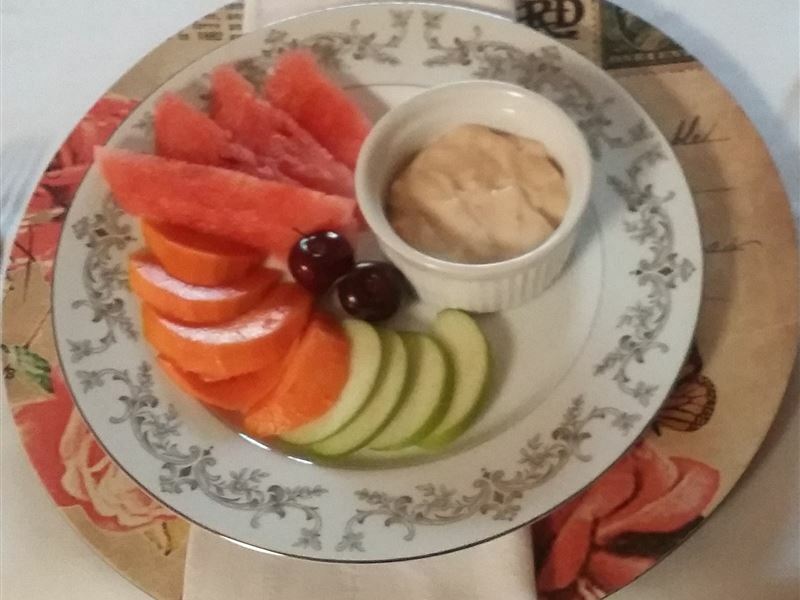 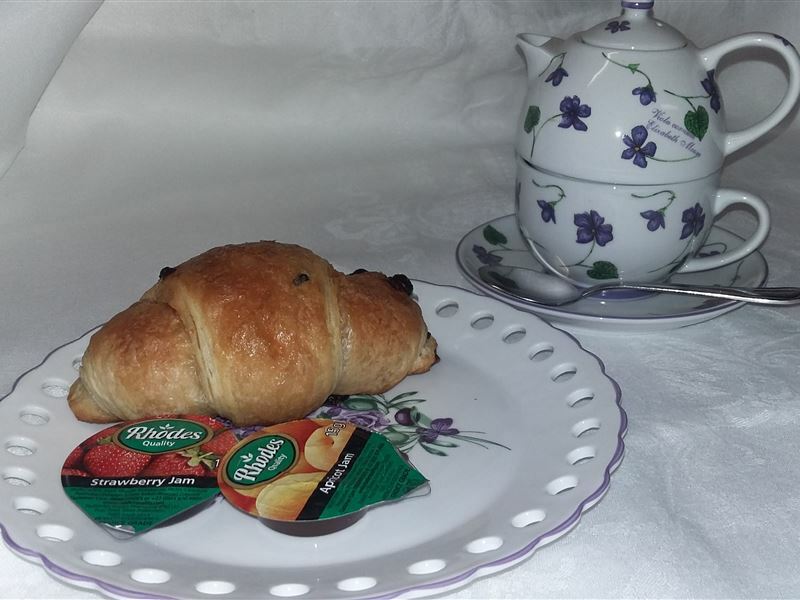 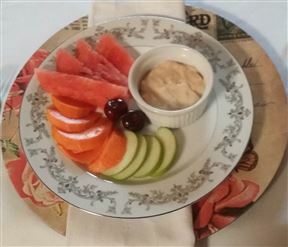 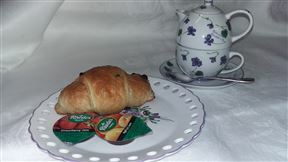 Situated down a quiet tree-lined lane, this exclusive bed and breakfast offers all the in-home comforts with affordable rates. 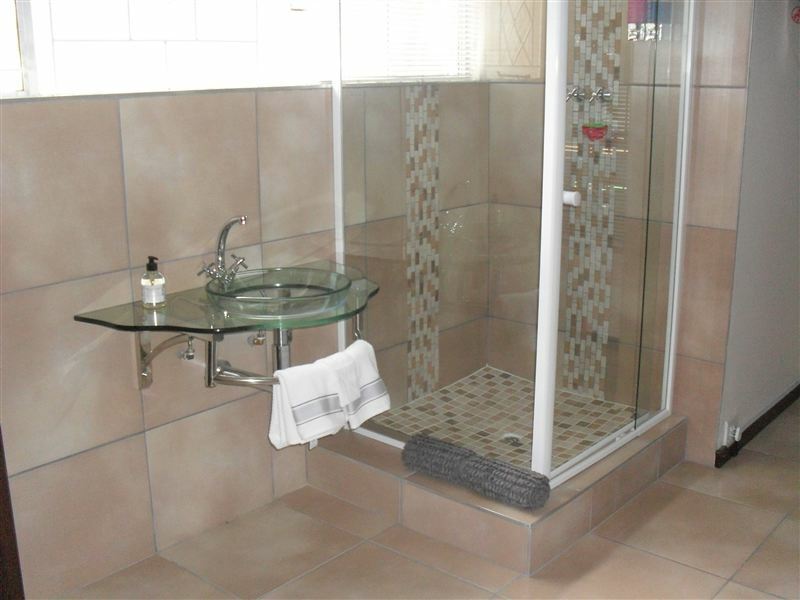 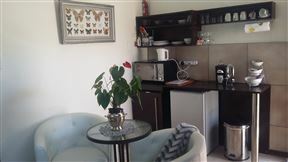 The self-catering unit hosts guests in double bedrooms with well equipped kitchenette and an en-suite bathroom (shower). 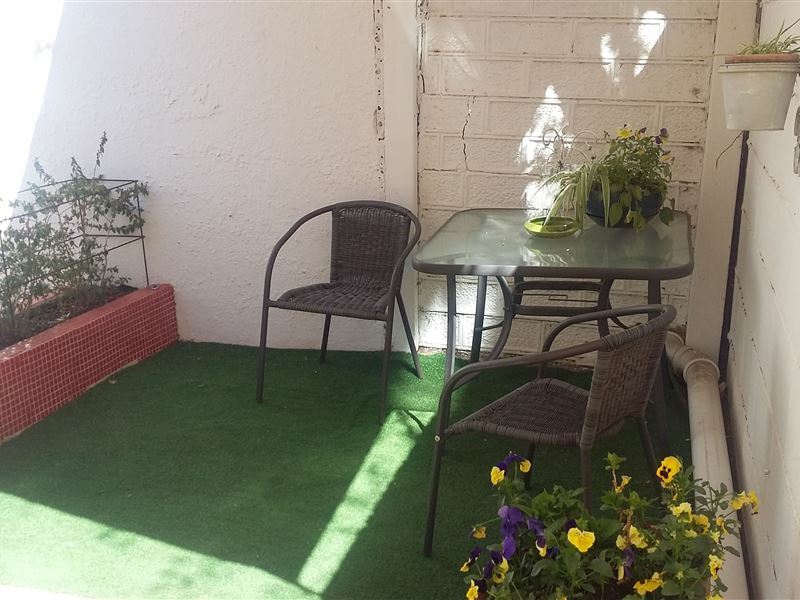 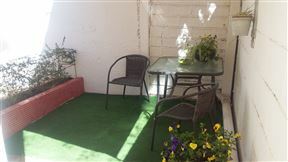 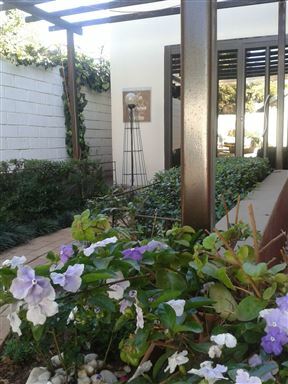 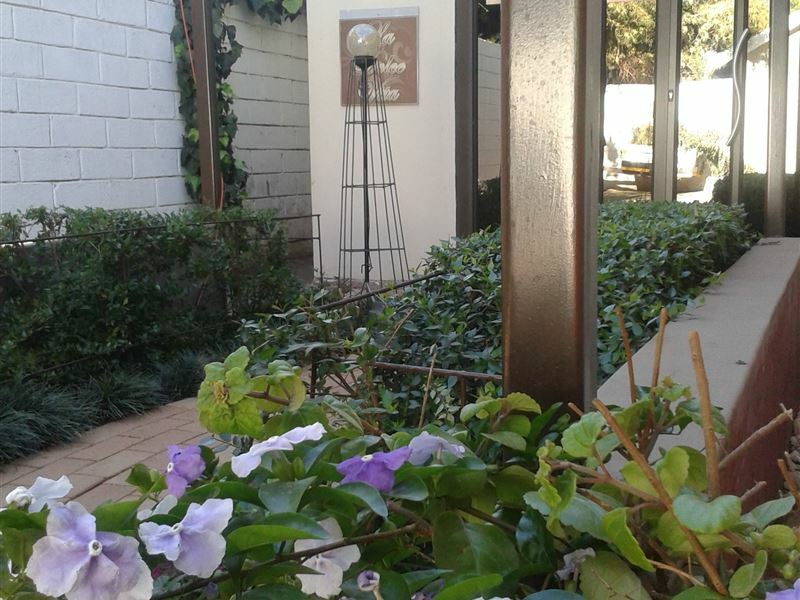 Outside, the private seating are is ideal for some sun loving and an afternoon read.La Dolce Vita is situated 300m from a small shopping centre that offers everything from Spar to CNA, fast foods outlets, restaurant and Bottle Store. Navel Hill which accommodates a game reserve with various animal species, as well as The Lamont Hussey Observatory and the large bronze statue of Nelson Mandela is a stones throw away. 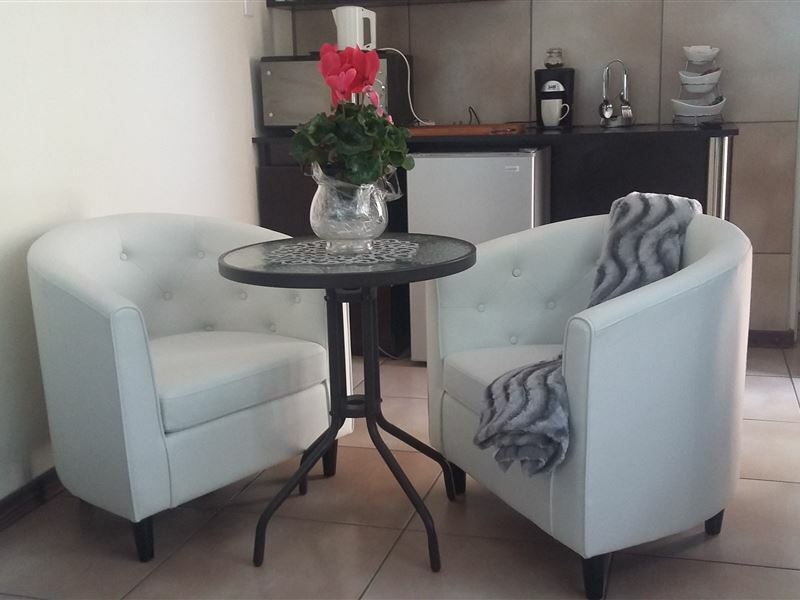 Comfortably furnished for two adults, the unit consists of a queen size bedroom, an open-plan kitchenette, a shower and separate toilet. 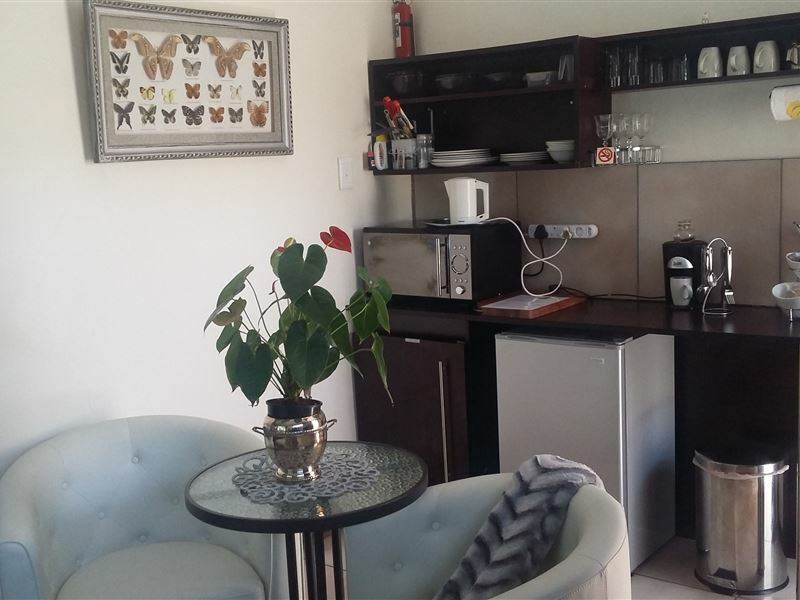 Additional features include a microwave, a flat-screen TV, heater, electric blanket in winter, crockery, cutlery, tea and coffee facilities. 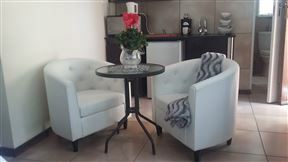 We have also included a hairdryer, iron and ironing board for your convenience.